Learn the Most Important Words in Russian and Start Speaking it! A brand new course that focuses on the vocabulary that really matters for beginners. Do you want to learn Russian but you don’t know where to start? Do you feel like learning to speak Russian is going to take a lifetime? The good news is that becoming conversational in Russian doesn’t have to take a lifetime! In fact, you’ll be able to socialize in Russian by knowing only a few hundred words and phrases if you study the right content, the right way! And that’s why we created VocaBooster Russian! After helping many people worldwide to get conversational in almost a dozen languages, we’re now proud to announce that VocaBooster Russian is finally here! Why can some people pick up Russian so quickly? For native English speakers learning Russian can be very tricky. 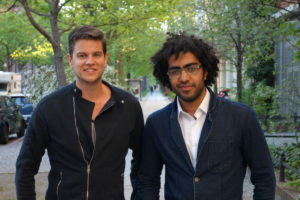 How can some foreigners manage to become conversational in only a matter of months. With VocaBooster Russian you will be able to learn how your target language works, get familiar with the pronunciation and learn highly useful words and phrases. Read the English words and check if you can remember the equivalent in Russian with the correct pronunciation. When you manage to memorize let’s say 50-70% of the vocabulary start from the beginning but try to translate the whole sentence into Russian. As a beginner you first discover how the Russian language works by decoding the language. Use the word by word translations to get a good understanding of how the language is structured. If you are an intermediate learner, you can use VocaBooster Russian to master the foundations and improve your fluency. Make sure you’re using the correct grammar and try to focus on the pronunciation and tones. Test yourself and try to translate the English sentences into Russian as soon and as accurately as possible. Becoming conversational in Russian doesn’t have to costs a fortune. 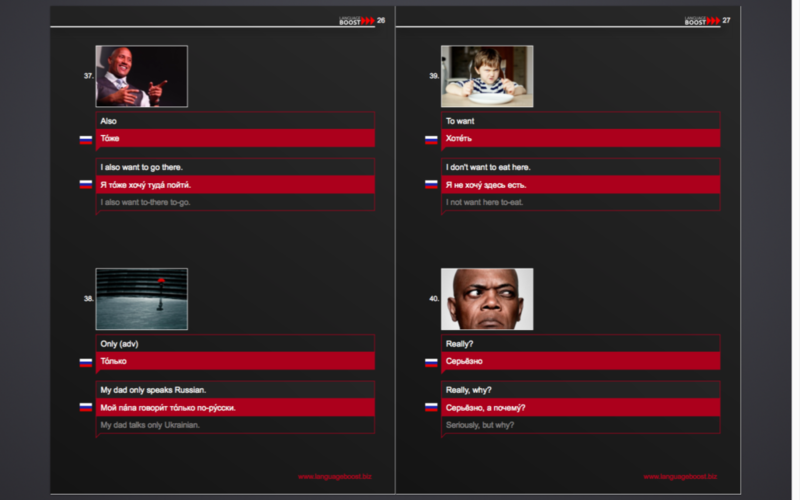 Our Russian Deck includes Native Russian Audio! If your time is valuable and you want to be able to speak Russian as soon as possible, this will be an investment you won’t regret. 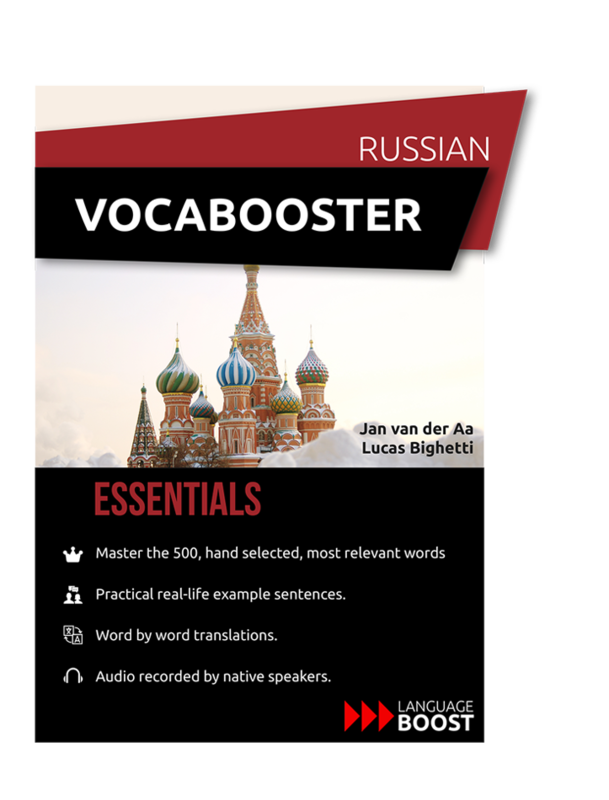 Learning with Vocabooster Russian will be the highly effective for those who practice what they’ve learned from the course with native speakers.